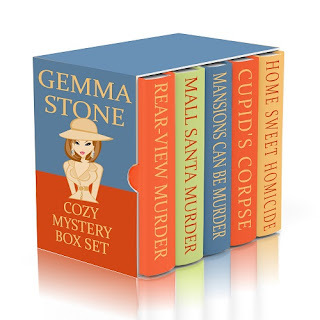 Gemma Stone is an upcoming young professional that knows what she wants and she’s well on her way to getting it. She and her best friend Holly have started their own business, and they are doing very well, indeed. But Gemma has a terrible habit of attracting the dead, especially when foul play is involved. More often than not, with the help of her ex, her friend Holly, and a gorgeous police detective named Ross, she ends up knee deep in a mystery that only she can solve!